ClockworkMod Recovery (CWM) v6.0 is now available for Google Nexus 7 in both standard & touch mode. You can flash CWM recovery either using Fastboot method or ROM Manager. ROM backups takes much less time. Now Backup size of ROM are of much less size(15-20 MB only). 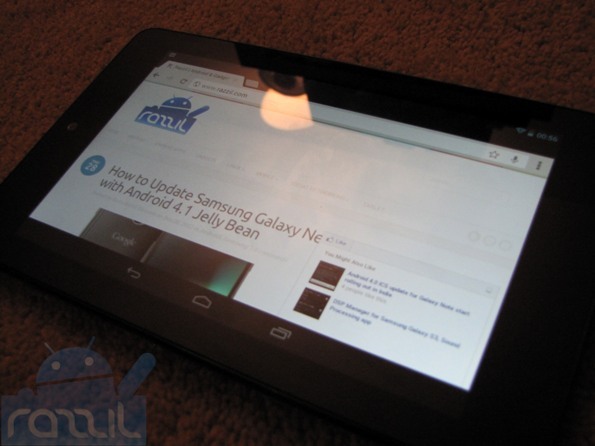 After CWM recovery to finishes, type “fastboot reboot” in command prompt to reboot Nexus 7. Kudos You’ve successfully installed CWM Recovery 6.0 on Nexus 7. Simpler Method: You can also flash recovery using ROM Manager.